This half-day interdisciplinary symposium will explore how digital 3D technologies are transforming the ways that art and cultural artefacts are produced, stored and shared. 3D printing has been used to reconstruct destroyed ancient monuments, inspire activist communities and help reimagine contemporary art practice. As digital 3D technology finds new applications in an ever-growing number of fields, it has opened up new possibilities for digital reproduction on a global scale, seeming to promise new alternatives to mass-manufacture and unprecedented opportunities for the circulation and exchange of objects. The increasing role of digital 3D technology in the production and reception of art and cultural heritage raises numerous urgent aesthetic and ethical questions. 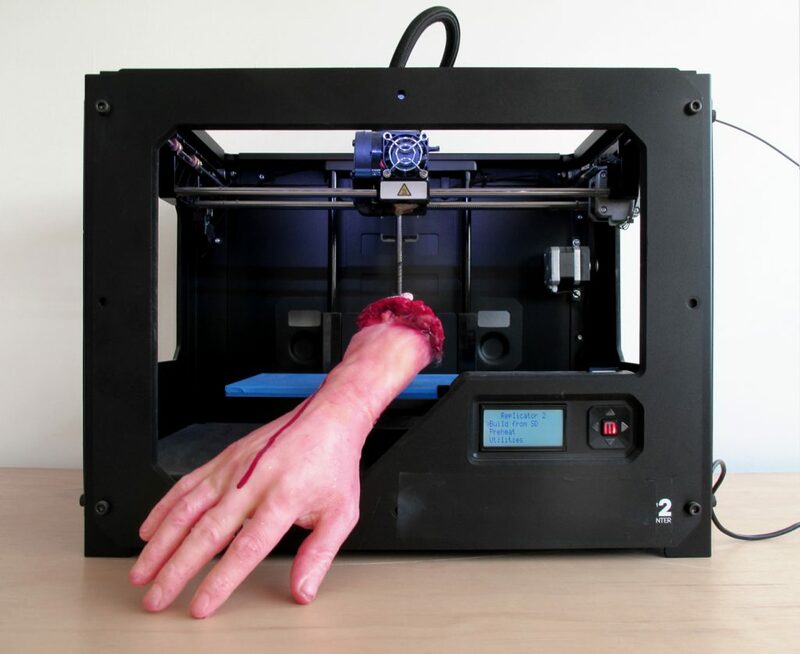 Although many of these concerns – such as big tech monopolies, uneven accessibility and energy consumption – are shared with other areas of digital culture, their particular manifestations in relation to 3D printing technologies frequently animate these issues in ways that emphasise the interconnection between the digital and the material. As such, critical explorations of digital 3D technology can help to challenge out-dated distinctions between virtual processes and material objects and infrastructures, revealing some of the ways in which our world is being radically, but often silently, reshaped by the power structures that underpin digital technology. This interdisciplinary symposium brings together artists, curators, conservators and researchers working in art history, law, media studies to explore the significance of 3D printing and associated digital 3D technologies for artistic and cultural practice. 13:15 Amelia Knowlson (Sheffield Hallam University) will present new research on the curatorial decision-making processes behind 3D digitisation at The British Museum. Her work used design-based methods to examine micro pre-existing and emerging 3D projects across curatorial departments. 13:45 Xavier Aure (University of West England) will discuss the influence of computer graphics techniques in his research on visualisation and texture reproduction of paintings. 14:15 Dukki Hong (Bournemouth University) will introduce some IP issues in relation to emerging 3D printing technologies, considering what IP law is; how it is constructed; and most importantly why 3D printing matters to IP law. 15:15 Mara-Johanna Kolmel (Leuphana University Lüneburg,) will be speaking about Reforming the Formless. An art historical perspective on 3D technologies. 15:45 Daniel Rourke (Goldsmiths) will discuss The 3D Additivist Cookbook, a compendium of 3D .obj and .stl files, critical and fictional texts, templates, recipes, (im)practical designs and methodologies for living in this most contradictory of times, which he devised and edited in collaboration with artist Morehshin Allahyari.